The American Gold Eagle is widely viewed as one of the most beautiful coins of modern American coinage. The reverse of each 2018 Gold Eagle features Miley Tucker-Frost’s family of eagles design, with a father-eagle soaring above his family’s nest, holding an olive branch in his talons. 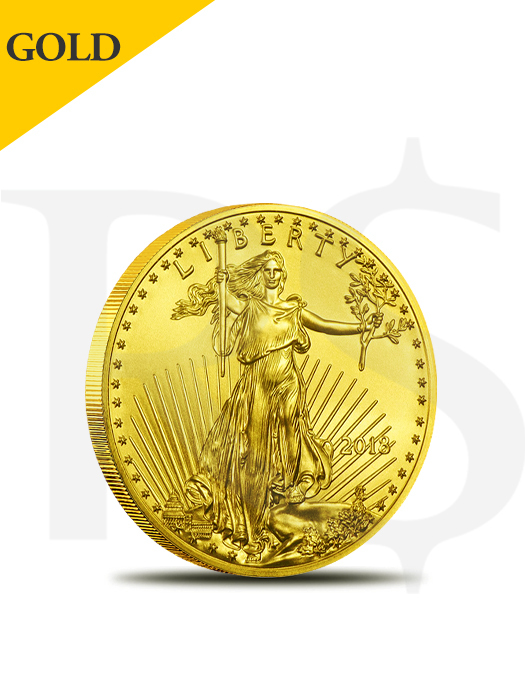 The 1/10 oz American Gold Eagle are considered legal tender and is the largest gold coin produced by the US Mint, and carries a face value in the United States of $5 USD and they are the only gold bullion coin backed and guaranteed by the government of the United States. IRA eligible, Gold Eagles remain one of the most trusted ways to invest in precious metals worldwide. 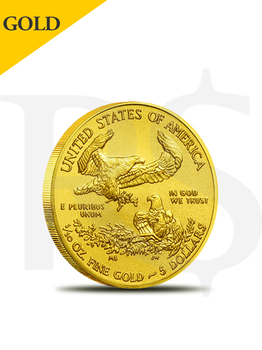 The 1/10 oz American Gold Eagle coin with a 16.5 mm diameter and thickness 1.19 mm. Each beautiful coin contains 22k gold, meaning it is composed of 91.67% Fine Gold and arrives in brilliant uncirculated condition, the remaining amount of the coin is composed of copper (5.33%) and silver (3%). Although the coin is 22k gold, it still contains 1/10 troy oz of pure 999 gold content, this is due to the fact that the coin itself weighs 0.1909 troy ounces total, resulting in 1/10 troy ounce of pure 999 gold.